On RETIREMENT - "It's the most stupid word I've ever heard in all my life. It should be stricken from the record. You retire when they put the coffin lid down with your name on top. Until then nobody can retire." Nobody could suspect what was going to happen when Liverpool FC called a press conference on 12th of July 1974. You could hear a pin drop when Liverpool's chairman, John Smith, made his opening address: "It is with great regret that I as chairman of Liverpool Football Club have to inform you that Mr Shankly has intimated that he wishes to retire from active participation in league football. And the board has with extreme reluctance accepted his decision. I would like to at this stage to place on record the board's great appreciation of Shankly's magnificent achievements over the period of his managership." 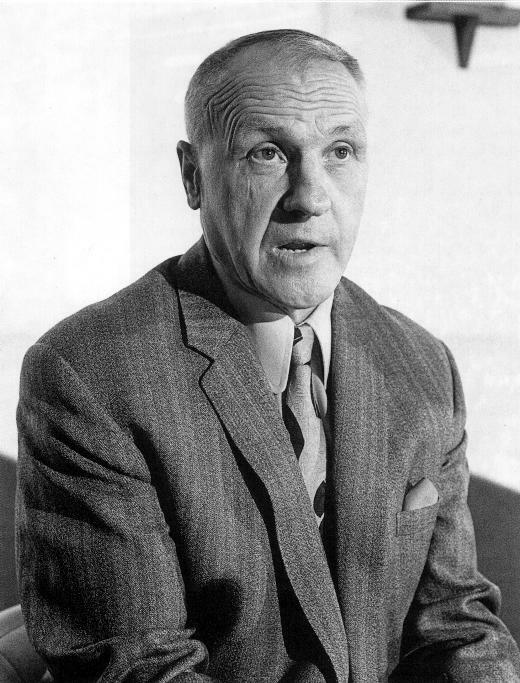 After signing his last contract for Liverpool in July 1971, Shankly agreed a three-year contract with Liverpool, with the option of extending it to five years. So three years later when John Smith asked him to take the option of the two years, Shankly said no and chose to retire. Smith said of Shankly in February 1974 that he "would be happy if he would stay with us for life." Shankly's response was "Staggered. It may be another year, or two, or three. But, one day I'll decide that that's enough and leave straight away. My career as a manager must have an abrupt end." 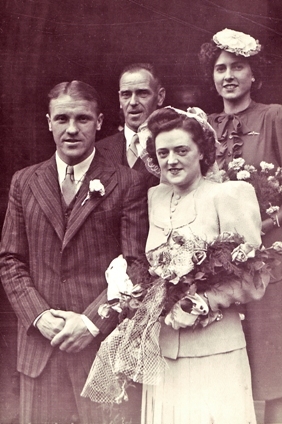 Bill Shankly loved football so much, that his decision sent shock waves round the world. What those closest to him had realised all along though, were that the constant strains and stresses of managing one of the top clubs in the country had taken its toll of him. Liverpool had been a very ordinary second division team when he had taken on the job in 1959 of bringing them up to the level expected of a big city club. Off the field too, Shanks had masterminded a rebuilding of Melwood into a quality training facility, and seen Anfield undergo tremendous change and improvement. Furthermore, Shanks had ensured, by his careful grooming of the very capable backroom staff, that managership of the club was to be passed into good hands. All of this had required hard work and an almost constant attention to the affairs of the club, on and off the field. Approaching the age of 61, it's easy to see how he thought 'enough is enough' and as he said: "All the arguements had been won." "After the FA Cup Final I went into the dressing room and I felt tired from all the years. I said to a bloke who was looking after the dressing room, 'Get me a cup of tea and a couple of pies, for Christ's sake.' When I sat down with my tea and pies, my mind was made up. If we had lost the final I would have carried on, but I thought, 'Well, we've won the Cup now and maybe it's a good time to go.' I knew I was going to finish. Kevin Keegan sensed my feelings then. He said so later. I didn't go running around celebrating with the team. I didn't get carried around. I let the players have the arena. I was satisfied and I was tired. A series of things went into my decision. I had been in the game for more than forty years, as a player and as a manager, and it had been hard work. I had been around a long time and I thought I would like a rest, spend more time with my family and maybe get a bit more fun out of life. Whilst you love football, it is a hard relentless task which goes on and on like a river. There is no time for stopping and resting. So I had to say I was retiring. That's the only word for it, though I believe you retire when you are in your coffin and the lid is nailed down and your name is on it." "Nobody made me pack in. It was worked out between myself and Ness. Deep down I had thought about it the previous season. Ness had said, 'How long is this going to go on?' I had said, 'I can't tell you.' That wasn't even Nessie's business. It was mine and mine alone. When I talked to her about it later, she said, 'Are you sure you want to do that?' She didn't want me to do anything that I didn't want to do and this didn't help me. I suppose I wanted her to say, 'Now is the time.'" Maybe Ness wanted to shoulden the burden for Bill, as it were, but she said at the time outright: "Bill has resigned for my sake. He knew that the tension and strain of being married to Liverpool's manager was getting me down. I was highly strung and full of tension. The day the team was playing, whether Bill was home or away, were terrible. He gave so much of himself and you had to feel for him and with him. This was something I asked him. I wanted him to think about retirement and he did." "All things being equal, and having been in the game a long time, I might have been better saying, 'Look, I'm going to have three or four months off, then I'll start all over again.' But I didn't. I thought that would have been unfair to the club. That would just have been using them." "You see he was a real loner. He didn't knock about with anyone. I'd go round and see Nessie to try and find out what was up, and she'd beg me to persuade him to change his mind. She was frightened of him lying round the house with nothing to do. I did my best, but he'd made his mind up. If I was pushed to give an opinion about why he went, I'd say maybe he was frightened of having another lean spell. He'd just won the cup and I think he'd made up his mind to go out at the top like a class boxer. He was a boxer at heart." "Making the decision final was like being on a jury and having to say. 'Right, we'll hang him.' It took a time for me to come out and say, I'll go now,' but I felt the club was in a good position financially, had trophies in the cupboard and had a good team. If you leave a club when it's on the slide, people will point at you. On the other hand, they might say. 'He left when they were at the top, maybe he's frightened they're going to slide.' That was definitely wrong because I said I was willing to give the club all the co-operation I could. If they had been struggling, I wouldn't have gone." "I remember he said to Tommy Lawrence, after we had just won the League but still had a few games to play out the season, 'Tom, wouldn't it be great if we could put a deck chair in the middle of the goal, you sitting in it, cigar in your mouth, and when the ball comes, you get out of your deck chair and catch it and say 'It's a lovely day to play football, isn't it?'"